Is the lack of a peer group social network a cause of struggling vets? I don’t usually go to Business Insider for deep thoughts. But I think this author might just be on to something. And then you exit the service. No more intrusive surprise health and welfare inspections. No more grueling runs and setting your speed to the slowest member of your group. No more morning formations. No more of the countless bureaucratic irritations of military life. Paradise, right? Actually, for many of us, no. Gone, suddenly, is the cohesive structure that existed to take care of you. Gone is that strong sense of social security. Gone is the sense that, wherever you go, you know where you fit. Gone are the familiar cultural norms. Gone are your friends from your ready-made peer group, who are just as invested in your success as you are in theirs. Much of the time the service spends its time intruding upon your life outside the normal duty hours. It’s almost always incredibly annoying. And the enforced close conditions with others can be wearing. But on the other hand, if you stick a group of 18-20 year old men together 24 hours a day, bonds of friendship, or at least shared purpose, are bound to develop. But I suspect that the main contributor to troubled adjustment to civilian life is something else entirely, and rarely is it because of battle trauma. Rather, when Veterans leave military service, many of them, like me, are leaving the most cohesive and helpful social network they’ve ever experienced. And that hurts. Most recent Veterans aren’t suffering because they remember what was bad. They’re suffering because they miss what was good. Of course, many Veterans just power through and do fine. Veterans on average have better health and earn more money than the average American. But others fall short of their potential, simply because they’re missing something, and they can’t tell what it is. I remember that same sense of loss when I got out to go to college. I struggled to make friends with dorm residents and classmates. The shift from working toward a unit mission to a pursuit purely of the self was disorienting. It’s a cliché that people will say the strongest friendships they’ve ever formed were those in the service. But there’s a reason that cliché has evolved. Author XBradTC2Posted on December 2, 2013 Categories ARMY TRAININGTags Military, Military service, Peer group, United States Armed Forces, United States Department of Veterans Affairs7 Comments on Is the lack of a peer group social network a cause of struggling vets? This one’s been making the rounds. Seems legit. Author XBradTC2Posted on December 2, 2013 Categories ARMY TRAINING2 Comments on Lazy ‘nuff? She plays a hot and nerdy chick on The Big Bang Theory. Meh, our hot and nerdy chicks here are the real thing. A man who allegedly stole one of the the Victoria Clipper vessels is now in a standoff with Seattle police with the boat adrift on Elliott Bay, police and Coast Guard officials said today. “The Seattle Police Department SWAT team is on board the vessel now,” U.S. Coast Guard Operations Specialist Chason Ashworth said at 10:20 a.m. It doesn’t appear there are passengers on board. via Victoria Clipper stolen; SWAT team negotiating with man | The Today File | Seattle Times. Let’s hope this ends peacefully. 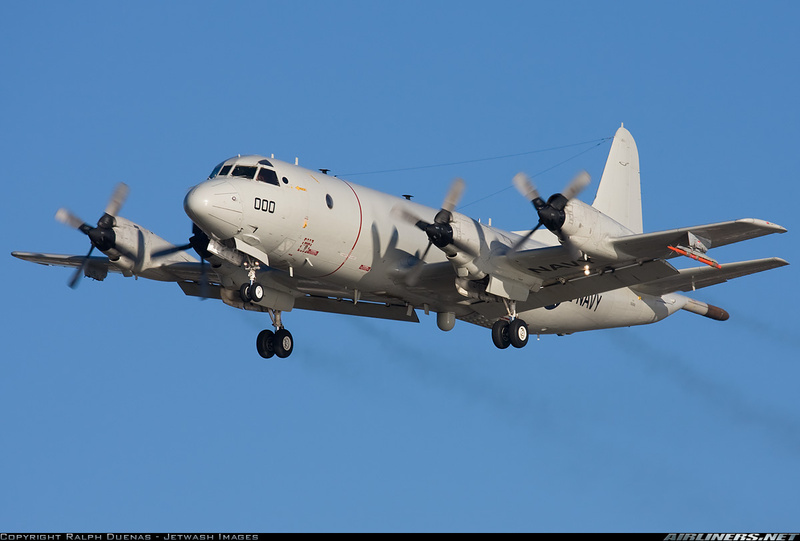 For over half a century, the P-3 Orion, an Anti-Submarine patrol plane developed from the Lockheed Electra airliner, has supported the Navy’s Maritime Patrol mission. Intended as a sub hunter, the Orion also performed surveillance of surface shipping in both open water and in the littorals, most famously in the Cuban Missile Crisis but also along the coasts of Vietnam. In the past decade, the Orion fleet has provided yeoman service providing overland Intelligence, Surveillance and Reconnaissance (ISR) in both Afghanistan and Iraq. But the Orion fleet is aging and worn out. And so the time has come for its replacement to arrive. And so the Boeing 737 has been adapted as the P-8A Poseidon. In development the last few years, the first few Maritime Patrol squadrons have transitioned from the P-3 to the P-8. And as of yesterday, VP-16 achieved Initial Operational Capability, and has forward deployed two Poseidons to Japan. Still, it will take several years for the Orion community to transition. The last P-3s are currently scheduled to retire in 2019. Under pressure from Moscow, the leadership of the Ukraine has reneged on planned closer ties to the European Union. This triggered relatively minor protests. But the swift, brutal dispersal of those protests has triggered a far more widespread protest against the current government. Here’s on live blog of events in the region. The Ukraine is on the cusp between Europe and Russian Asia. For decades a vassal of the Soviet Union, and still seen by Putin and Moscow as properly a buffer against Europe, it remains to be seen which camp the former breadbasket of the Soviet Union fall into. — Be sure to schedule the party for the evening of the last day before holiday leave starts. Soldiers will appreciate you looking after their safety as this will prevent them from getting on the road too soon. — Rather than spend money on a big event hall or meeting room, use a company area such as the motor pool or arms room. The spouses and children will really appreciate being able to see their soldiers’ work environment, and the soldiers will be perfectly comfortable making merry in their workplace. via US Army: ‘We Needed To Destroy This Holiday Party In Order To Save It’. Like most “fun” things in the Army, attendance is mandatory. Not the opinions and views of a far-left community organizer, for sure. Which is more than a shame, it is a tragedy. Worth the seven and a half minutes. Grab a cuppa joe and park yourself.